Call me old school, but every year around this time I go into MUST WEAR ALL MY WHITE STUFF mode. You know, because you will be shunned or something if you shall wear white post Labor Day. Here in Texas its already swelteringly hot, so that means SKIRTS and shorts. I love me a skirt. I actually have #1 in white with orange embroidery and I have to say it’s one of my favorite skirts. I throw on an orange t-shirt and flip flops and bam I’m dressed! So when I saw this color combo, I immediately started salivating. 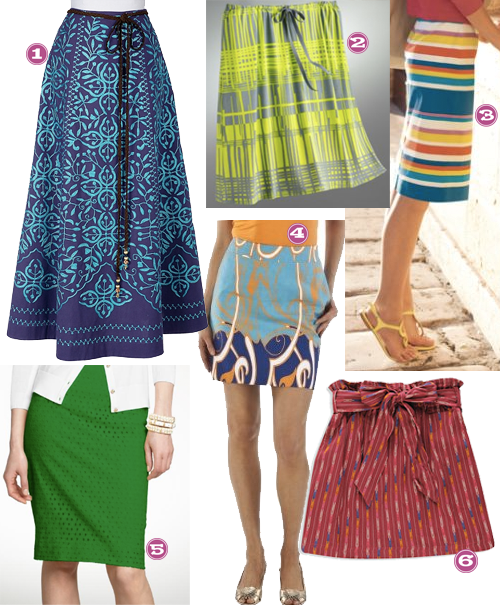 Please tell me, what is your favorite skirt lately? And what are you wearing with it? Sometimes, well most of the time if y’all have learned anything about me yet, I feel like dressing all ruffly and sweet. But there are the times when I need to throw in a little attitude in the form of some studded sandals, a masculine plaid shirt and some bright cherry pie toesies. 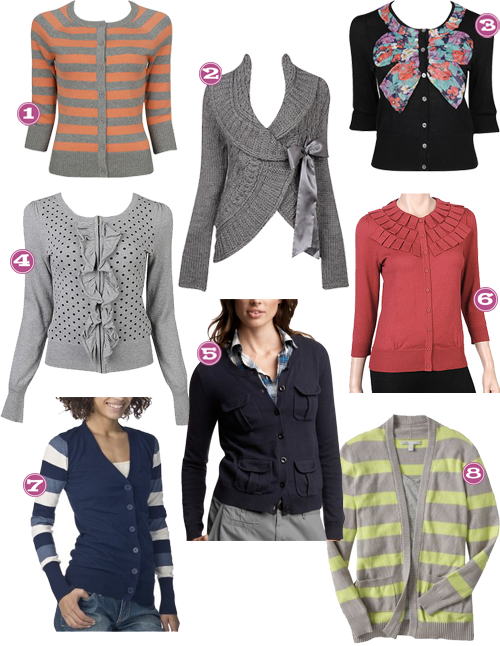 I love the look of the slouchy boyfriend cardis…wait, me loving a cardigan…SHOCKING! Anywho, this one is HIGH on my list because that price.. well, you can’t beat it! 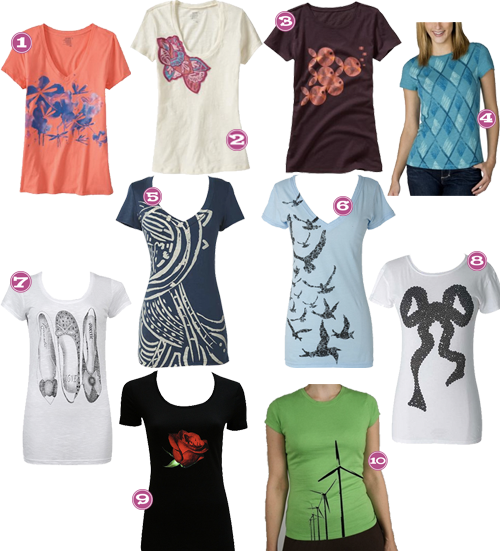 Graphic Tees are such an easy to wear, easy to love, comfortable way to be stylish these days. There are tons of graphic style tees that won’t make you look like you’re dying to be 16 again. 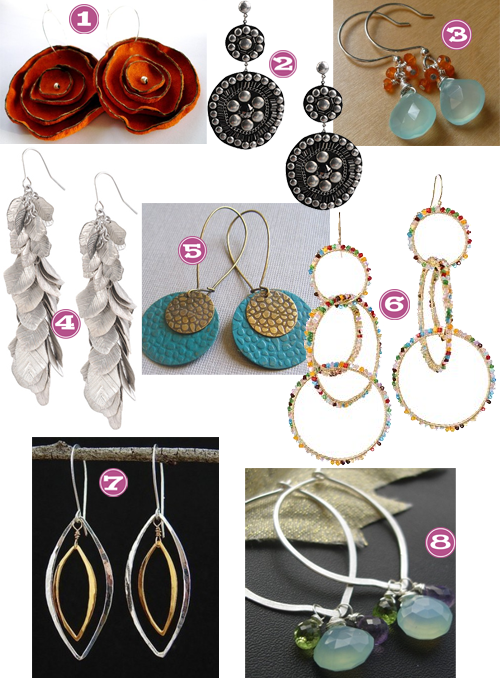 Throw ’em under a cute cardigan or a sassy jacket and you’re set! Whoever invented the flat boots that are all over the place nowadays deserves a medal! Such a cute look without the fuss of wearing heels. Luckily, you don’t have to spend a fortune on them either! Here at Tipsy, we are some CARDIGAN WEARIN FOOLS! There are so so many adorable takes on the classic cardi available right now! I’m literally having to restrain myself from not purchasing each and every one of these. BUT truth be told, while it’s still January, in Texas we may have like a possible 3 weeks left of cold weather, so I better bust out my cardis while I can! Happy 2010! I can just feel it, 2010 is going to be a 10! 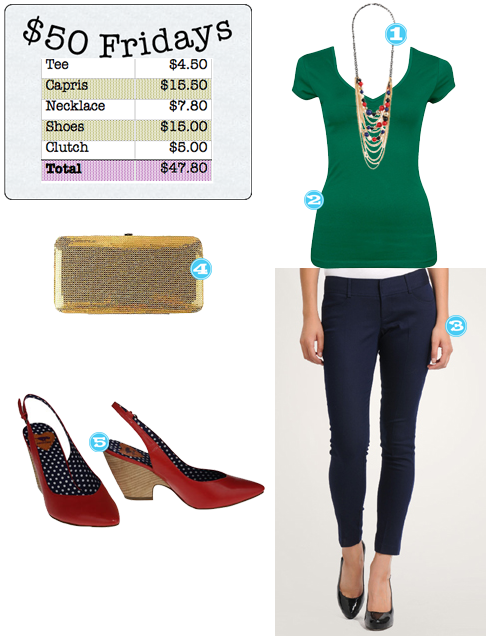 Let’s kick it off right with a super cute, super simple, super cheap ensemble! 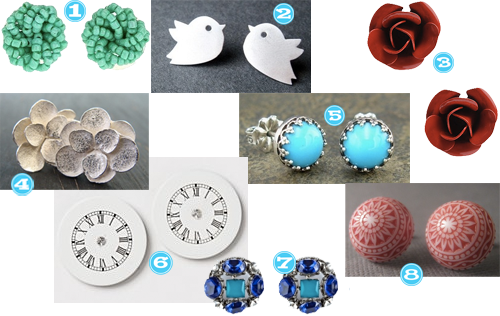 EARRING in the New Year!